3 On A YA Theme: It's Basketball Season! It’s basketball season! The NBA officially kicked off their schedule at the tail end of October and it runs through April. It seems like no better time to talk about three really solid YA novels where basketball plays a huge part in the story. As noted in an earlier post about YA football books, what makes for a good sports book isn’t that it’s only about the athletic pursuit in question. What makes a good basketball book is that the characters are fully fleshed, complex, and dynamic in addition to their passion and skills for the game. Basketball is a big part of the story, but what happens on the court is not the entirety of the story. 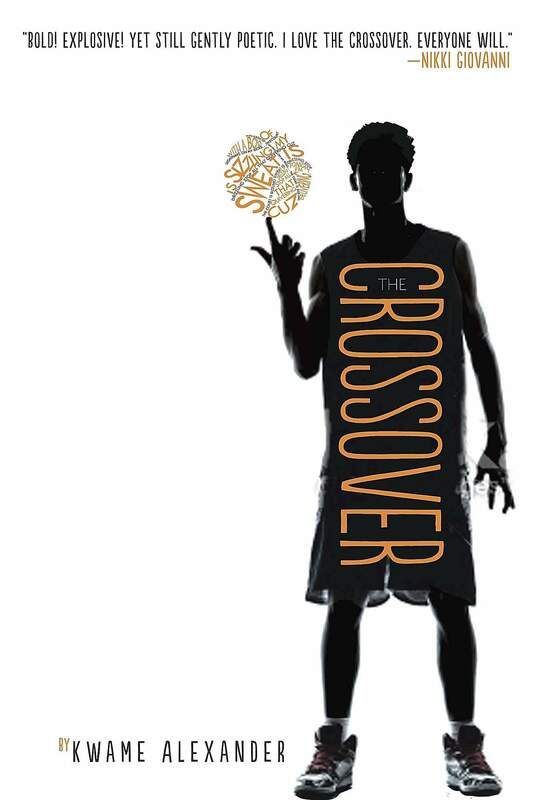 Kwame Alexander’s The Crossover falls on the younger end of YA, and many may call this one a middle grade novel. It’s the kind of novel perfect for those readers who are in that 11 to 13 range, with a story that appeals to stronger readers who may be younger and readers who love a good story who are older. Twin boys Josh and Jordan are awesome on the court. The twelve-year-olds come from a family where basketball is important and where basketball is a respected pursuit. But this year, things are a little bit different at home. No, the boys aren’t in trouble — it’s that their dad has been having some health problems and those have been cutting into their lives a little more than they expected. It’s necessary to be vague about the story’s plot because it’s one that’s unexpected and one that’s emotionally tough. More than that, what really makes Alexander’s book stand out isn’t really the “what happens.” It’s the voice and the characters themselves. Told through Josh’s point of view, this is a story about brothers who are close but who are at a pivotal age in their lives where they’re pursuing their own individual interests for the very first time. For Jordan, this means a potential girlfriend, and Josh finds being a bit left behind by this to be a huge change in his own life. The Crossover is a novel in verse, and Josh loves a good, solid beat. That comes through this, and it only enhances those on-the-court scenes. Sticky hasn’t had an easy life. Up until he was 6, he lived with his mother in poverty; she was a drug addict and would often make him go beg for money so she could fuel her habit. When Sticky is moved into a foster home which seems stable, it falls apart when his foster mother becomes ill and he’s once again put through the system. It’s not an easy life in the foster world, and Sticky isn’t the easiest of kids to like. But he’s passionate about one thing: basketball. It’s his dream to one day play in the NBA, and despite his background, he’s got the skills to pursue that dream. 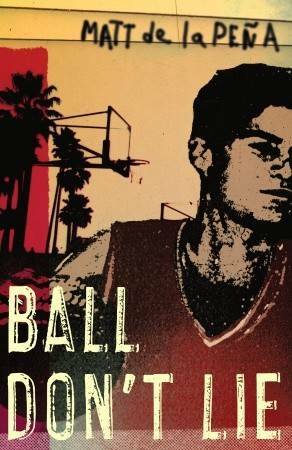 In Ball Don’t Lie by Matt de la Pena, we get to see Sticky’s backstory through his unstable upbringing through to the current time, where he’s shooting hoops in LA, the only white boy in the group he’s running with. Sticky also struggles with Obsessive Compulsive Disorder, which emerged young and which impacts his thinking and his game playing. But don’t feel too sorry for Sticky. He’s hard as nails and he’s determined as hell in the game. 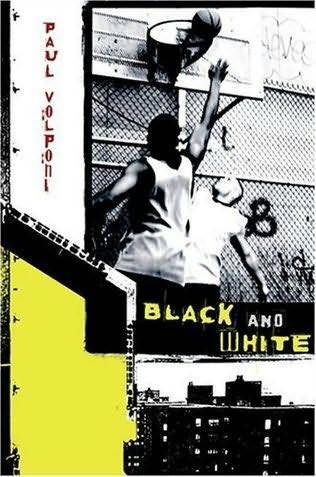 Paul Volponi’s Black and White takes some of the flavor in de la Pena’s novel about street hoops and race and cranks it up a notch. Marcus, who is black, and Eddie, who is white, have found themselves able to forge a meaningful and important friendship. They’re both leaders on their school’s basketball team, and they’re also leaders off the court — the two of them are hard to separate and they take care and look after one another in the best (and okay, sometimes not best) possible ways. Marcus and Eddie have mutual goals in winning the basketball championship for their school, getting into good colleges, then going pro in the sport. But one bad decision may cost them their friendship. While they’re able to accept one another for their differences on the basketball court, that might not be the case when it comes to the judicial court, where the law isn’t always fair. Just how tight can Marcus and Eddie’s best friendship be? Is it easier to sell a friend out and save yourself or is it better to own up responsibility to your behavior, even if it costs you your dreams? Volponi writes a solid story about urban teens in a tough situation, and it’s not his only foray into the world of teens and basketball. Readers who dig this one will want to also check out The Final Four and Rucker Park Setup. A couple other YA titles featuring basketball worth checking out include Boost by Kathy Mackel and Matthew Quick’s Boy21.